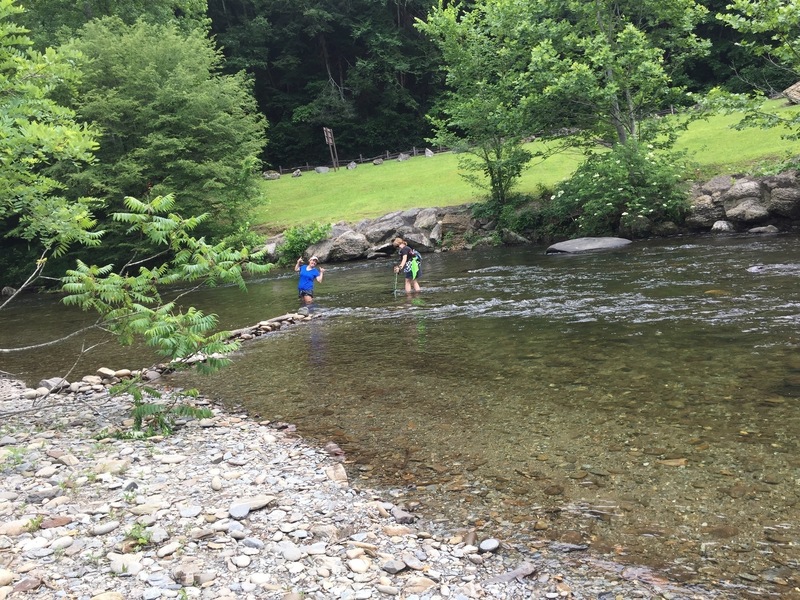 We found a nearby shallower area to cross the river. Ended up being about waist-high in June. Watch for snakes in the rocks, too.